The Fun Science Day Camp! We keep things fresh every year by presenting lots of exciting new activities. Check out how the basics of what a typical camp day looks like. A leadership program for 7th – 11th graders. Available only in California and Long Island NY locations, at this time. The Fun Science Day Camp for Curious Kids 5-11! Whether you are a pro with kids or just beginning, we have a position for fun, dynamic educators like you. From camp directors to site assistants, our staff seek out those “Aha!” moments to share with kids! At over 100 locations in five states, teachers lead campers ages 5 to 11 through a full week of hands-on fun. Aided by kid-friendly gizmos, gadgets and a little goop, entertaining science demonstrations, and inventive lesson plans, we know how to educate and have fun. All of Destination Science instructors are experienced educators, classroom teachers and university students, each focused in growing kids and chosen for their ability to relate to children and build an effective baking-soda volcano. STEM (science, technology, engineering and math) learning is more important than ever before. In fact, it’s a national movement. 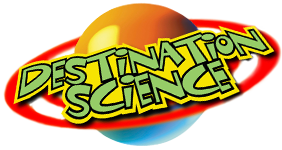 Start your adventure of fun and growth this summer by heading towards Destination Science! The best summer ever is as easy as 1, 2, 3. Openings for M-F Full Time and/or Part Time morning and afternoon shifts. All DS Site Directors have a Bachelor’s Degree or higher. All must have experience in leading collaborative teams, elementary aged teaching and effective classroom management skills. Personal commitment toward growth in the following life skills are essential for success as a DS Site Director: ability to organize and lead others, solutions-oriented, coachable, create a fun camp environment, credible, collaborative, positive communicator, resourceful, confident, engaging, passionate, & a lifelong learner! Most DS Teachers have a Bachelor’s Degree or higher. All must have experience in elementary aged teaching as well as effective classroom management skills. Personal commitment toward growth in the following life skills are essential for success as a DS Teacher: teamwork, playful, friendly, flexible, dedicated, ability to implement fun lesson plan, integrity, humility, patience, curiosity and a genuine concern for others! Most DS Site Assistants have completed high school and/or are enrolled in university. All must have history of synchronicity with kids, exemplary life experiences, and willing to accept guidance, direction, and supervision from manager & peers. Personal commitment toward growth in the following life skills are essential for success as a DS Site Assistant: Commit to do whatever it takes to create a safe and joyful learning environment, lead outdoor activities. Available for Pre-Camp Staff Training in May & June. Available during summer, M – F for placement in full time positions, or part time AM or PM Shifts (June – August). Desire a long term relationship with Destination Science. We have a spot waiting for you. Join us this summer for more super heroes, physics racers, robots, rockets and our new roller coaster camp! Not available the entire summer or full time? 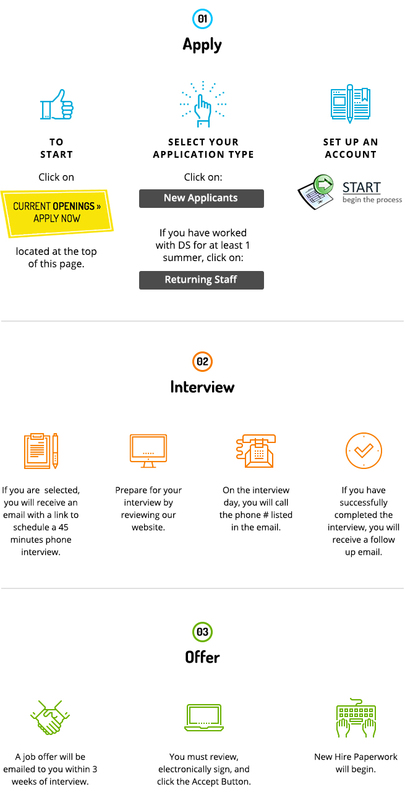 We have part time positions as well as sub and short 2-3 week positions available too! Get the Best Summer Prices & Special Offers!